Everyone remembers the mechanical bull! 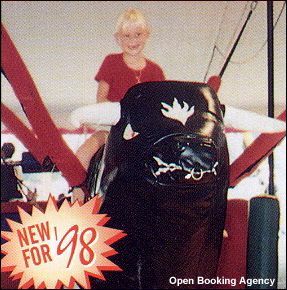 Now, it's back - but this time you ride on a foam padded bull and hang on tight while your fellow cowpokes pull the 4 bungee cords to tip you off safely onto our inflatable mattress. Time your rides for a promotion, contest or bragging rights! Style counts!